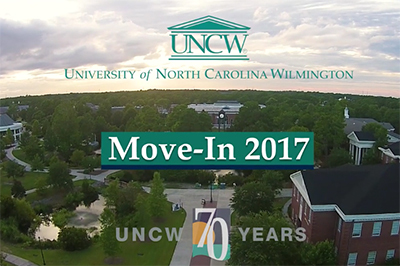 Nearly 2,000 volunteers help our newest Seahawks move into campus residence halls every August. Follow the story of two of those students. Faculty members (l to r) Nivine Richie (dept. chair, economics and finance); David Glew (Associate Dean, CSB); Tom Downen (accountancy); Donyell Roseboro (Associate Dean, WCE); Eleni Pappamihiel (interim dept. 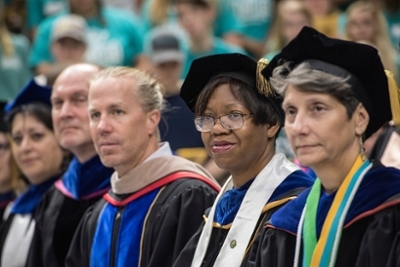 chair, WCE) brought pomp and circumstance to the Convocation ceremony for the Class of 2021, held on Aug. 14.